This level have much hard difficulty and you might need any booster or any luck to complete this level. 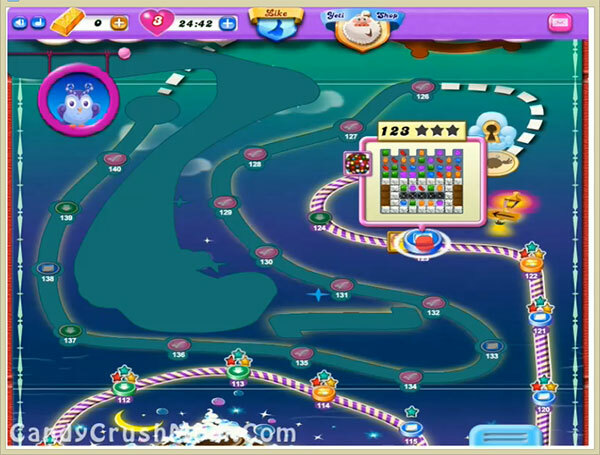 This level have 23 blockers, six chocolates and 35 jellies that you need to break. For this level you need to play from bottom and try to break blockers plus all chocolates. Then try to break jellies and use special candies or might be if you have luck some jellies with automatically break as moon will struck. We completed this level with 473880 score by using fish booster and colorbomb that help to get three star score.